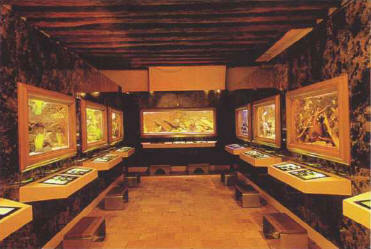 In public aquariums, fishkeeping takes on a new dimension. The general trend is to offer the public extremely large tanks, in which the behavior of the animals reflects as closely as possible what actually goes on in their natural habitat, usually beyond the reach of most people. These "living museums" serve not only to present aquatic animals but also to study them, as much still remains to be discovered about some biological phenomena (for example, the reproduction of marine fish). 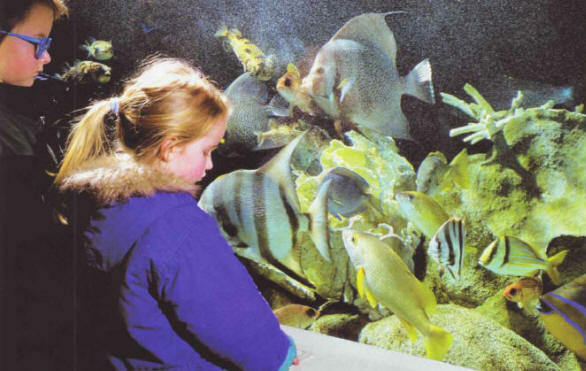 This new generation of "real conditions" aquariums includes among its ranks the Deep-Sea World in Fife, Scotland, the Fenit Sea World in County Kerry, Ireland, and the Clearwater Marine Aquarium in Florida, not forgetting illustrious precursors such as the National Aquarium in Washington and the Belle Isle Aquarium, Detroit, which opened in 1873 and 1904, respectively. Freshwater room in the tropical aquarium in Tours. There are now literally hundreds of public aquariums in both Europe and North America, some of which specialize in the fauna of their local region, such as the recently opened aquarium in Touraine, France, the largest in Europe. Tropical lagoon tank in La Rochelle aquarium. Space does not permit an exhaustive list, but readers can obtain information about public aquariums from the Fish Information Service (FINS) (www.actwin.com/fish/public.cgi).